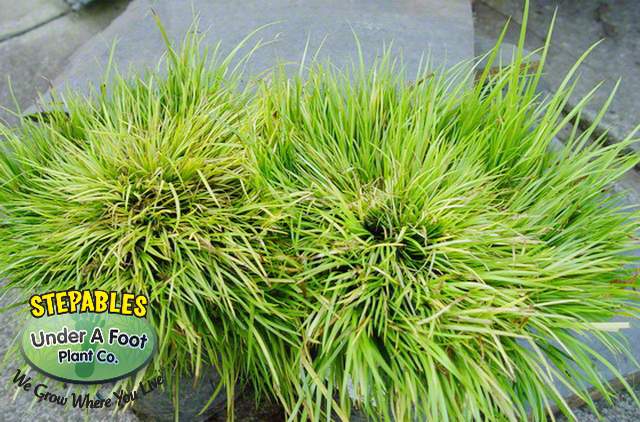 Quite the versatile moisture loving STEPABLE plant that can be planted directly into a shallow pond or in a woodland setting. 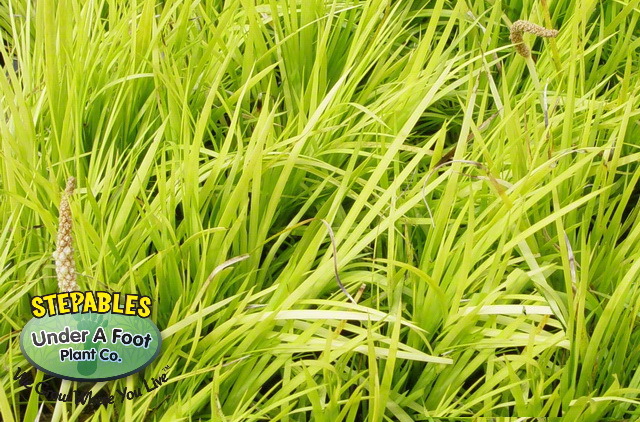 Cheery disposition and non-invasive rhizomes are adaptable to most garden conditions. Very slow to establish, but worth the wait. 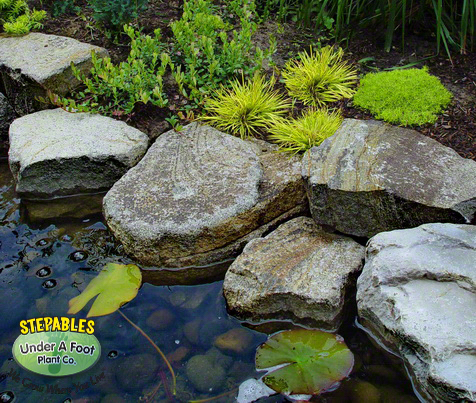 Use between stepping stones and enjoy a pleasant sweet, citrus fragrance every time it is walked on. This Acorus is such a unique plant. 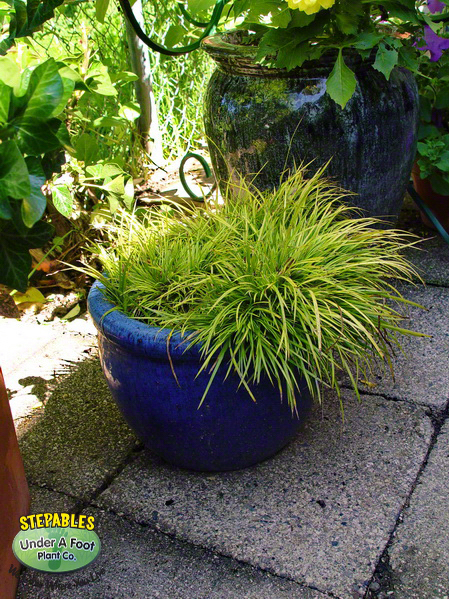 It is just sensational in a container and really a neat accent plant in front of boulders. However, I think this gem is best when it is placed in an area where you can brush it with your hand or feet as it gives off a unique citrus scent. It will not take a boatload of traffic, so this is why it made our exception list, but not the full dot category for paths.